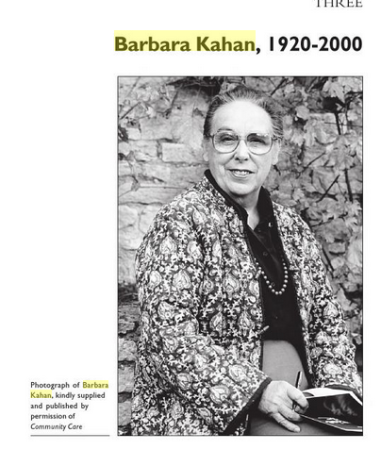 BARBARA KAHAN: AGE 83, DIRECTOR OF OVER 35,000 UK SHELLS WITH OVER 200,000 DIRECTORS? OR is it childcare pioneer? Or both? Married to Vladimir? 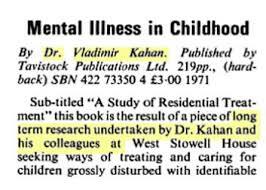 Vlad was studying Mental Illness in Childhood? “I know it’s a BBC programme but it’s worth a listen to the Radio 4 programme broadcast on the 24th Feb about council insurers hindering abuse inquiries. I think the programme highlighting that, even back twenty years ago, it was so important to shut her up, stop her being named as associated with an inquiry (because she was trustworthy, her name added more validity to the report) validates that research on the boiler-room scam and its links to abuse/blackmail/cover-ups/secret services is certainly an angle worth pursuing. Why have they sullied her name in death by making her the posthumous patsy for mass fraud?! Any help researching the Kahan angle by other forumites here would be much appreciated!! https://eyreinternational.wordpress….2-giant-fraud/And would you believe it, coincidence of coincidences, it’s also the very same fraud that David Cameron’s brother had thrown out of court. https://sites.google.com/site/profge…-shell-company(edit: There’s the Javed connection)So now we’re left with the question of what is the real connection between all of this huge fraud and child abuse. Our Prime Minister certainly appears to know something about all of this and seemingly doesn’t want the links uncovered.And why specifically was Barbara Kahan chosen to be a posthumous patsy to this gigantic industrial-scale fraud? Are they using the 40 year old “revelations” to deflect from the present day CLEAR LINKS between abuse, fraud, politics and the theft of Kahan’s identity?I hope not, I do have huge respect for their work, but it’s worth bearing in mind that if they hadn’t talked Simon Danczuk into not naming Leon Brittan as an abuser back in July at the select committee, we wouldn’t have had the Butler-Sloss and Woolf debacles. The inquiry would probably have had a chair since the Summer rather than sitting with no chair months and months later. I also wonder what directorships Barbara held whilst alive. If somebody wanted to bury that information, the creation of 35,000 red herring files to create a “haystack” would certainly be a good way to go about it. The Queen appointed him to her Privy Council three weeks before the home secretary announced the CSA Inquiry. Alan Levy QC also spoke at that same event. He was co-author with Barbara of the Pindown abuse report. His thoughts on inquiries are perhaps more relevant today than ever. It’s possible that the trust ceased to exist as a charity but still exists as a bank account, I suppose, just found it worth mentioning. Comment: “Barbara Joan Kahan’s identity has been stolen since her death in 2000, albeit with varying dates of birth, to be the director of over 35,000 shell companies in the past 14 years for the purposes of MASSIVE fraud. 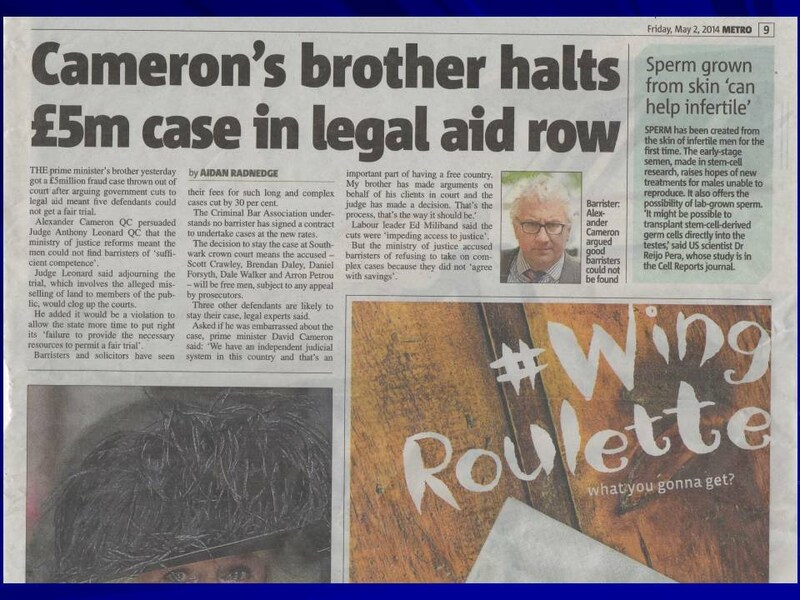 And would you believe it, coincidence of coincidences, it’s also the very same fraud that David Cameron’s brother had thrown out of court. So now we’re left with the question of what is the real connection between all of this huge fraud and child abuse. Our Prime Minister certainly knows something about all of this and doesn’t want the links uncovered. And why specifically was Barbara Kahan chosen to be a posthumous patsy to this gigantic industrial-scale fraud? The link that Zoompad found with Exaro is concerning (http://zoompad.blogspot.co.uk/2014/11/new-sparta-limited-barbara-kahan.html) it really does make one wonder what’s actually going on… Are they using the 40 year old “revelations” to deflect from the present day CLEAR LINKS between abuse, fraud, politics and the theft of Kahan’s identity? I hope not, I do have respect for their work, but it’s worth bearing in mind that if they hadn’t talked Simon Danczuk into not naming Leon Brittan as an abuser back in July at the select committee, we wouldn’t have had the Butler-Sloss and Woolf debacles and the inquiry would probably have had a chair since the Summer rather than sitting with no chair months and months later.